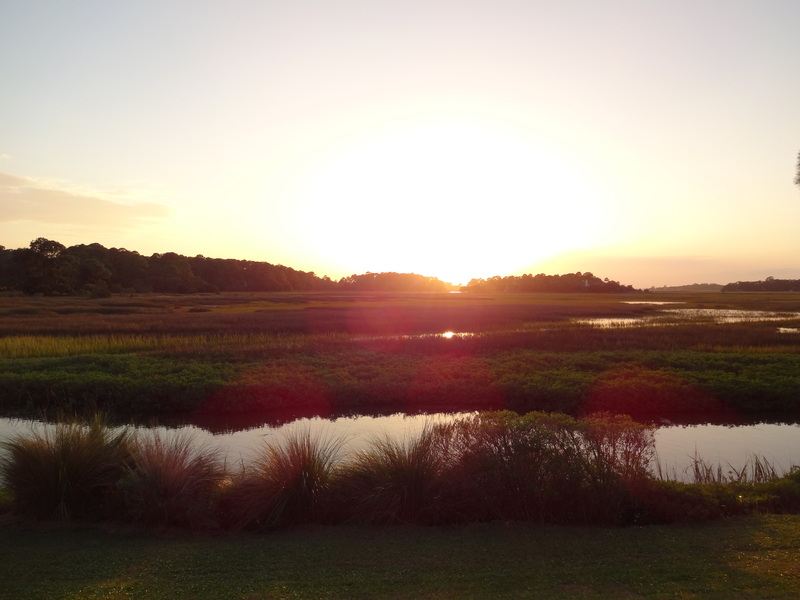 For the next few weeks, I’ll be blogging, beaching, biking—as well as food shopping, cooking and dining–in Hilton Head Island, South Carolina, one of my favorite places in the world. If you’ve never been here, close your eyes and imagine expansive blue skies, long sandy beaches, and breathtaking sunsets. Now picture yourself hopping on your beach bike–mine is bright pink–and joining me and my friend Edna as we pedal down to the local famers’ market in Sea Pines Center. 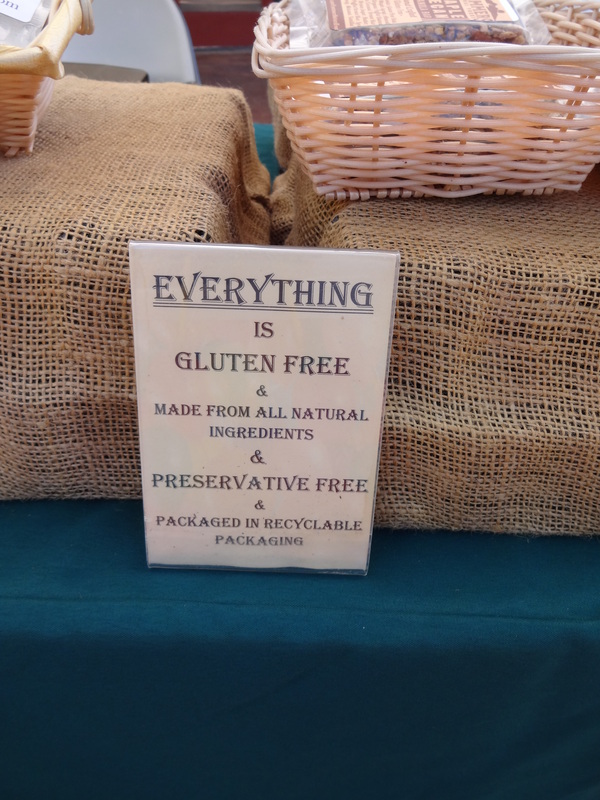 You should know by now that this allergic foodie never passes up a local farmers’ market! Never know what you’ll discover. 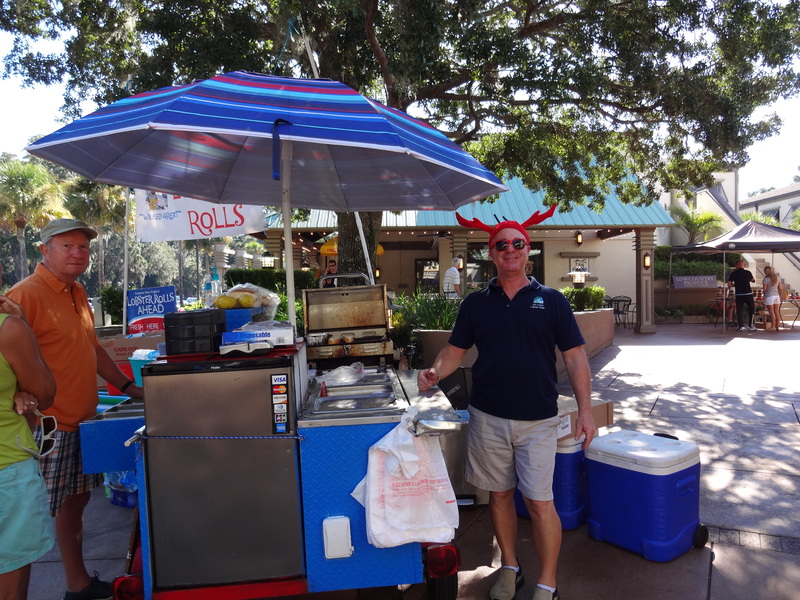 . . like this guy wearing the lobster hat! Yes, I know, there’s wheat in those lobster rolls he’s serving, not to mention I overheard “Joe” from Joe Loves Lobster say he dribbled butter on top of the lobster. Just those two ingredients would send me to bed for a week. However, I can guarantee you my husband will be stopping by Joe’s next Tuesday. We don’t get lobster rolls in Colorado. In the meantime, I’m going to see if I can reinvent the lobster roll—free of wheat and dairy, of course. After passing on the handcrafted goat’s milk soap (ingredients include soybean oil! ), Edna and I spoke to a talented artist named Nancy Mitchell who happens to be the mother of not one but two local musicians we’ve followed for years, Steppin’ Stones and Luke Mitchell. How about that! Never know what you’ll discover . 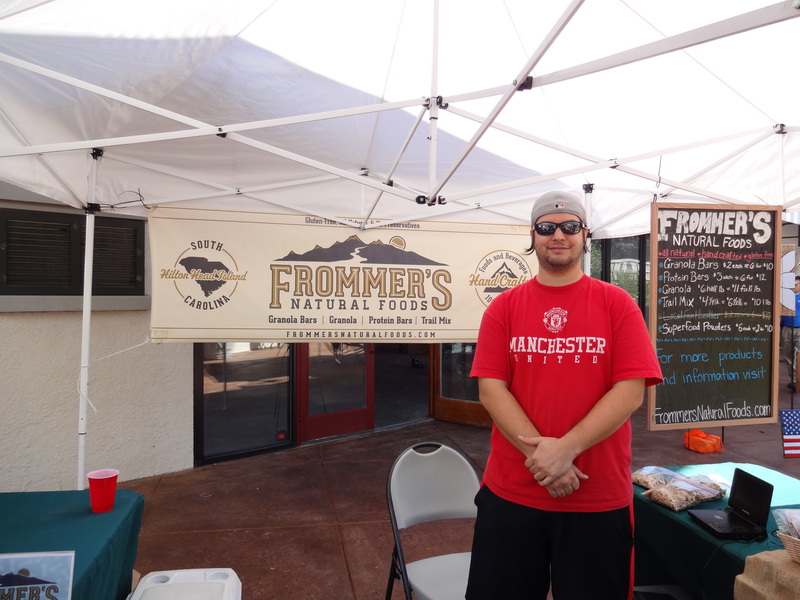 . .
At the end of the shopping plaza, we met Matt Frommer, the owner of Frommer’s Natural Foods. Okay, so the cool guy in sunglasses wanted to know why this not-so-cool lady was taking photos of his booth. Since the granola bars contained vanilla, one of my oh-so-many allergies, I set them aside for my GF son who’s coming to visit next week. The GF Orange Agave Granola sans vanilla will probably have disappeared by then. It’s a pleasure to meet someone like Matt, a young chef and entrepreneur with a desire to make simple healthful food. 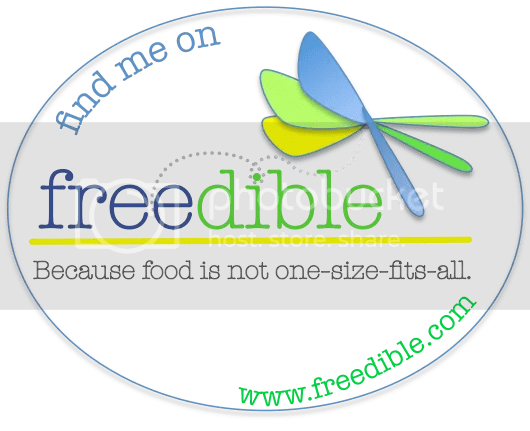 The food allergy/celiac disease community need more like him. Never know what you’ll discover at the local farmers’ market. Below recipe would need to be revised for food allergies. Amy this was very good. I enjoyed reading about our trip to the market. And even more surprised to see my name mentioned. I feel special. You do an excellent job of describing things just as they happen and so that everyone can relate to the subject. I enjoyed our outing.